Tucker lettered in football and basketball at Hazleton High. 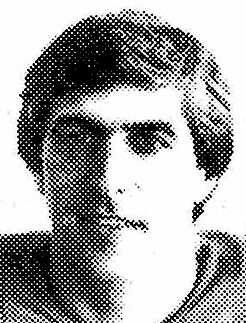 While attending Bloomsburg State College Tucker set three NAIA pass receiving records and went on to establish league records with the Pottstown Eagles. In 1969 he was a member of the Philadelphia Eagles taxi squad, and in 1970 was signed as a free agent by the New York Giants. In 1971 he became the first tight end in NFL history to lead the league in pass receptions with 59 caught for 791 yards and five touchdowns.